Rabbi and Cantor Steven Blane began his professional cantorial career in 1991, at Congregation Beth Israel in Biloxi, MS. He was ordained as a rabbi in June 2001, but continued to serve as cantor until 2006 at different (consecutive) Conservative and Reform temples around the country. During this time and until 2009, Rabbi Blane was a member of the Cantor's Assembly - an international and highly regarded association of cantors affiliated with Conservative Judaism. However, he resigned after being offered either resignation or expulsion when he began officiating at interfaith weddings. "I was in pain; I was sad. Yes, I was doing well - I was serving a lovely community and I was making a good salary. But I was not growing: my vision was much larger than I could realize in the Conservative or any particular movement. And so I left the traditional pulpit to journey on my own." That journey has been extensive and fruitful. It has led to Sim Shalom - an interactive, online and free Jewish synagogue, which meets the needs of unaffiliated Jews and interfaith couples and espouses the Universalist philosophy. It has also led, of course, to JSLI's Rabbinical School and other Judaism courses. Rabbi Blane's overarching commitment is to nurture, heal and bring joy to the community. His mantra? "No is not in G-d's vocabulary." Rabbi Blane is a member of the International Federation of Rabbis - a professional organization whose viewpoint is closely aligned to his own: a commitment to Jewish tradition and yet a realization of the need to facilitate and adapt to a changing Judaism in the 21st century. Music has always played a huge part in Rabbi Blane's life - both inside and outside of synagogue. He majored in Voice and obtained a B.A. in Music Education from Jersey City University. Following college, he performed as a singer/actor off and on Broadway, most notably in the show "Strider" in 1978-1979. He was a film extra in "The Chosen" (don't blink) and wrote an Off-Off Broadway musical, which he produced in 1981. In 1986 he co-founded Blane & DeRosa Productions, an audiobook and children's audio production company. To date, the company has produced thousands of audio recordings for major publishers. 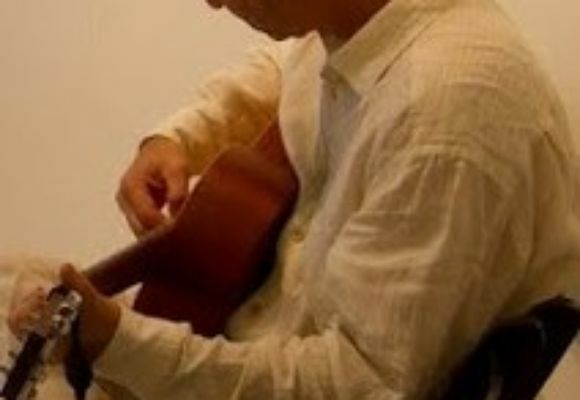 Rabbi Blane plays guitar, piano and ukelele, and he loves to sing Jazz Standards. For more information on Rabbi Blane, visit www.Rabbi.Net.